This popular Coil Winder uses two independent machines ran on the same platform to provide a substantial increase in productivity. It uses the same technology and features as the single version, but doubles the production speed. Double vision systems wind fine filaments around a spinning mandrel to produce precision medical-grade micro coils. The wound coils can be made smaller than a hair. After the coils are produced they are processed and eventually used for medical and electronic products. The precise control of all process variables is increasingly important, as the materials get smaller. Programmable wind tensions of less than 1 gram and wind angles of less than 1 degree require the use of controls systems that were not associated with coil winding – until now. The unique use of machine vision to measure wind angle without touching the filament and state-of-the-art control systems, makes this the most precise machine ever. Statistical data is also reported for each run so it is possible to verify product quality and use the information to refine the manufacturing process. By improving the accuracy of all controlled parameters, this machine can increase productivity through reduced rejects and faster wind speeds. 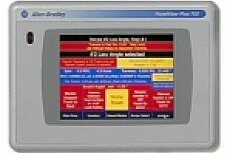 The programming is flexible to allow new products to be made with the same machine. With the availability of better technology, product designers are finding they can build better products. 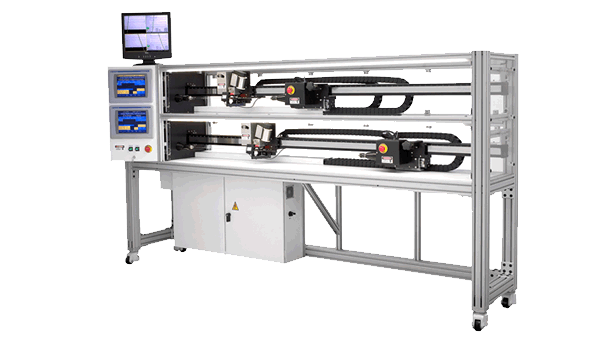 The twin winding machines operate independently so the production for a given floorspace is doubled.